I wish I could give you a simple-but-accurate rule of thumb that could assure you're saving enough to stay on track toward a secure retirement. But I can't because there isn't one. 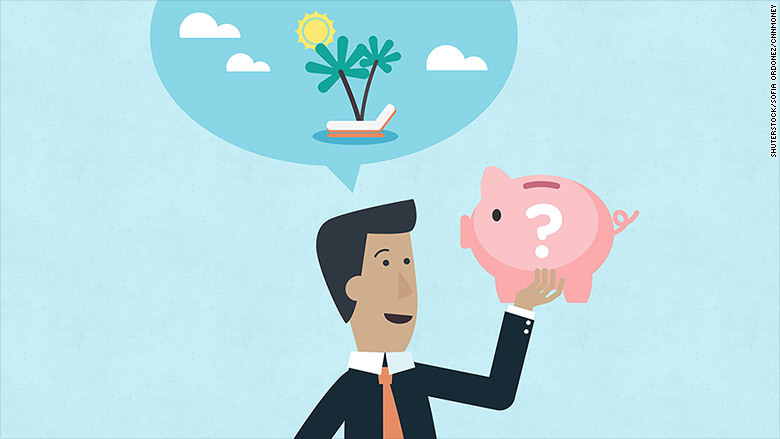 The 10%-of-salary figure you cite is often tossed around as a viable benchmark -- and it might be if you start saving that amount in your early 20s and stick to it faithfully over the next 40 or so years. But few of us actually adhere to that regimen. We get a late start or have years when we save less than 10% or we may even dip into our savings occasionally. To allow for more leeway in building a nest egg, many pros suggest a higher target of 15%, which is the figure cited in recent research by the Center for Retirement Research at Boston College. But the reality is that no percentage or formula can cover all situations. There are just too many variables that affect how much you need to save, including how much you already have in savings; the retirement lifestyle you envision; how much of your pre-retirement income you'll need to replace once you retire; the age at which you call it a career; how you invest your savings prior to and during retirement; and how long you expect to live. And then you've got to throw in the major wild card of health care expenses, which, depending on how much medical care you need later in life and how much the cost of such care rises, can have a major impact on the size nest egg you'll need and thus how much you must save to build it. Here's an example: Let's say you're 35, earn $50,000 a year, already have $75,000 saved in a mix of 80% stocks and 20% bonds and you save 15% of salary each year. Based on that information and some other details, the calculator estimates that you have nearly an 80% chance of being able to replace 75% of your pre-retirement salary, assuming you retire at age 65 and expect to live to age 95. But the savings rate required to achieve that probability of success in the above scenario can change significantly if you alter just one or two key assumptions. For example, retiring at 62 instead of 65 would require an estimated savings rate of 20% or more to maintain roughly the same chance of success. That makes sense when you figure that leaving your job three years earlier means you'll have less time to build a nest egg that will have to support you for a longer time -- and because you'll also qualify for smaller Social Security payments if you claim at age 62. On the other hand, postpone retirement by two years to 67 and the estimated savings rate to replace 75% of your pre-retirement salary drops to 12% or less, since you'll qualify for a larger Social Security benefit and have more time to contribute to retirement accounts, more time for your savings to grow and fewer years that they'll have to support you. Of course, these savings rates and probabilities of success are just estimates, not guarantees. Any forecast is going to have a certain amount of inherent squishiness, if you will, especially when it involves so many factors. If future investment returns are significantly lower than in the past -- which a number of pros think will be the case -- then all else equal you may have to save more to maintain the same shot at a secure retirement. On the other hand, research on retirement spending suggests that the percentage of pre-retirement income retirees actually require to maintain their lifestyle can vary dramatically depending on their financial circumstances. So if you're able to live an acceptable retirement lifestyle on a lower percentage of your pre-retirement salary, you may be able to get by with a lower savings rate. How, then, can you be reasonably sure that you're saving adequately for a secure retirement with so many factors at play? Rather than relying on a rule of thumb of 10% or any other benchmark, I recommend that you go to a good retirement calculator, plug in details about your savings rate and retirement account balances and see where you stand given what you're currently doing. If you discover that your chances of being able to retire when you would like are uncomfortably low, re-run the analysis to see how saving more, retiring later, investing differently (or making several changes simultaneously) might improve the odds. You can then repeat this exercise every year or two and, if necessary, adjust your savings regimen to stay on track. I can't guarantee that going through this exercise periodically and making occasional tweaks will guarantee you a secure and happy retirement. But it should make it less likely that retirement will be an impossible dream.